Our "SUPER DUTY" Complete Wire Kit has been the leading choice of most all the major chassis shops. And for good reason - its simple, bullet-proof reliable, and complete, all at a great price. This kit is the most rugged and complete system available at any price! 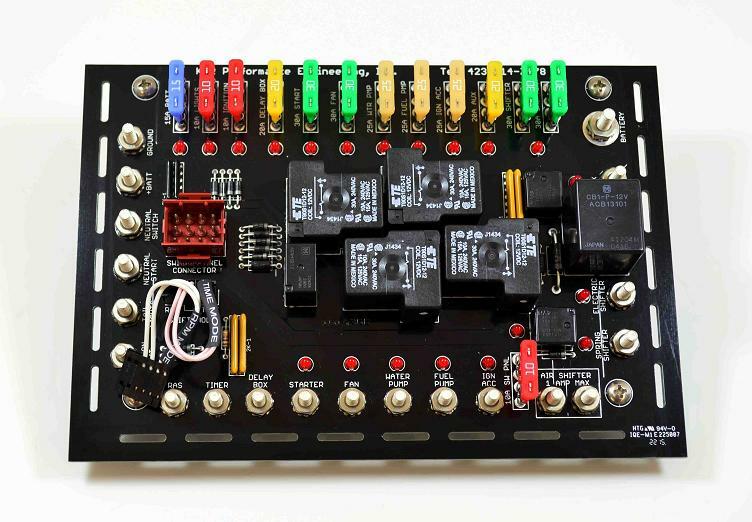 It dramatically simplifies any wiring job. The Switch Panel and separate Fuse/Relay Panel are interconnected with a cable assembly that simply plugs in. Mount the Relay Panel assembly in a convenient location (usually near the ignition box) and connect the switch panel connector. 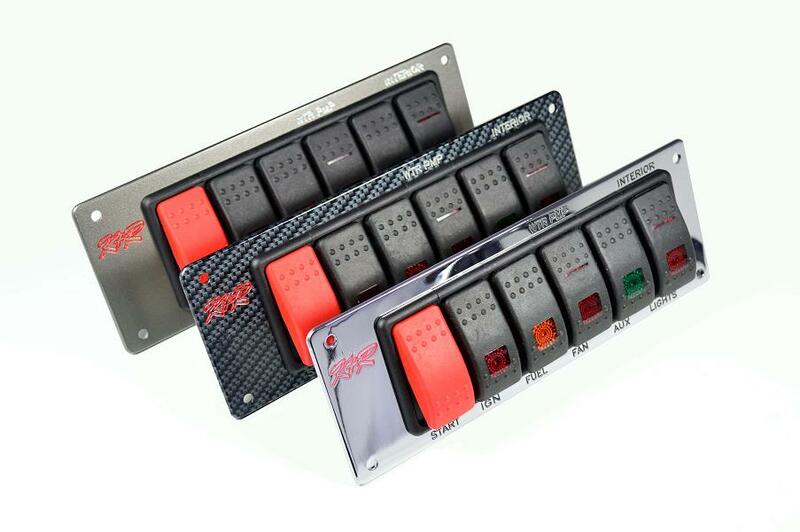 This eliminates the "clutter" of wiring to switches and relays along with saving tons of time. And as a bonus, there are convenience terminals on the rear of the switch panel for powering gauges, buttons, gauge lights, interior lights, grounds, etc. Also, as with all the K&R Switch Panels, there are white LED's on the rear of the Switch Panel that "illuminate" to make for an absolutely awesome interior glow at night. 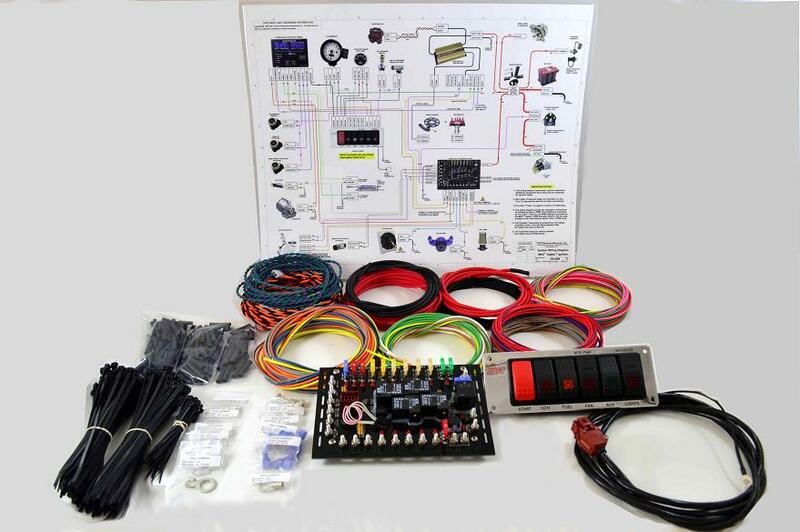 System comes complete with all the colored and labeled wires including: Ignition, Fuel Pump, Fan, Water Pump, Delay Box, Transbrake, Throttle Stop, Pro-Stage, Lights, Starter, Tach, RPM Switch, 2-Step, Shift Timer, and Water Temp. 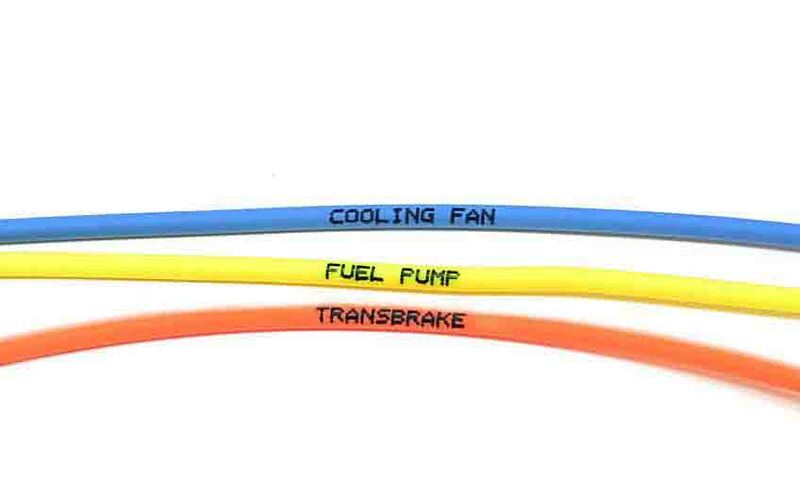 Other unlabeled colored wires include: Ground, Shifter, Neutral Safety, Remote Start, Crank Trigger, Coil Wires, Alternator (10ga. ), Ignition Power & Ground (10ga. ), and main Power Wire (8ga.). Also included with every kit: All necessary quality terminals, heat shrink, wire ties,and a colored laminated poster size wiring diagram. COMPARE all this with other manufacture's systems. 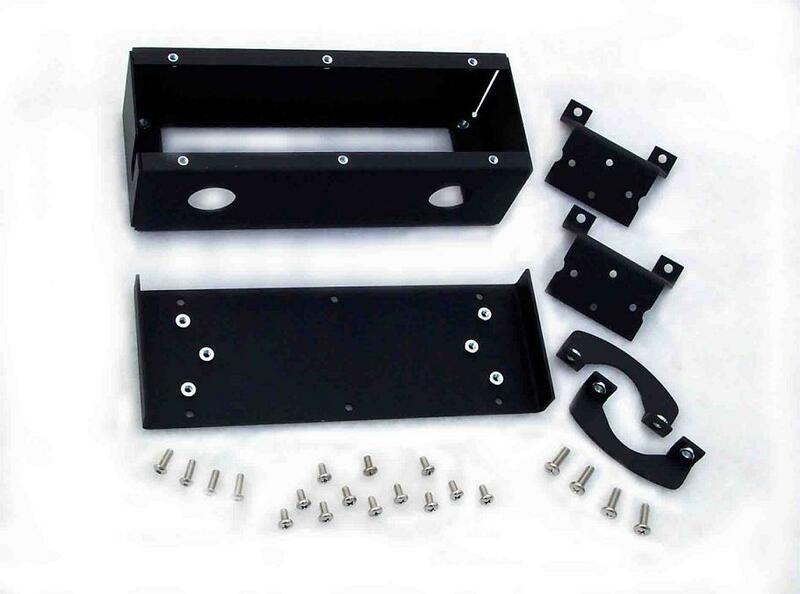 Overall - 8" x 5.5"
Vibration mounts - 6.3" x 4.3"
Overall - 8.25" x 3"
Mounting Holes - 7.6" x 2.4"